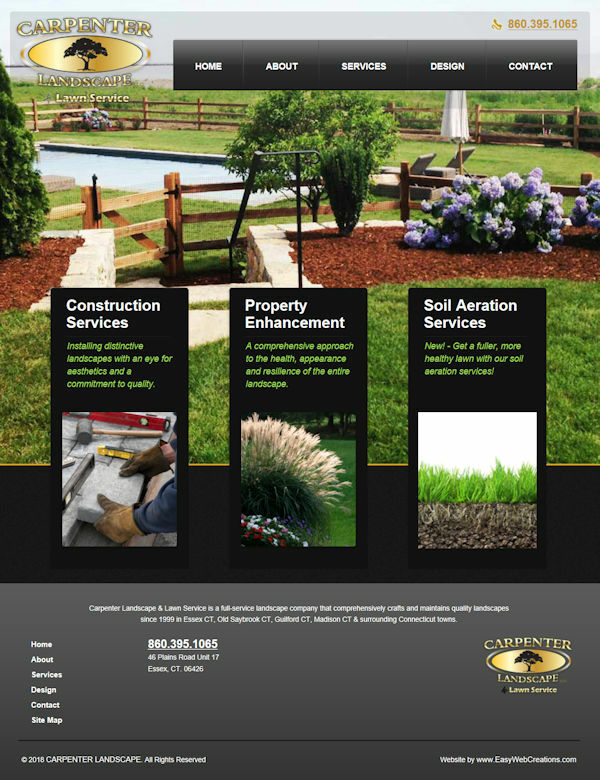 01-Apr-2018, ESSEX, CT: InnoTech has completed a website support project for Carpenter Landscape of Essex, CT.
Carpenter Landscape contacted InnoTech to assist in making modifications to their existing website which is hosted and managed by another company. Carpenter Landscape also had a problem with their Google "My Business" listing – there were multiple entries (all of which were inaccurate) and they needed this to be resolved to help improve their Google search results. InnoTech worked closely with Mike Carpenter, the owner of Carpenter Landscape, to collect all login information for their existing website support provider and their Google "My Business" listings. We modified their WordPress-based website to update their service offerings, and we upgraded their existing Google "My Business" listing and marked other duplicate entries as "obsolete". Next we created a new business listing on Microsoft's "Bing Places for Business". As Bing and Google re-index the site, we hope to see an improvement in their search results. InnoTech appreciates this opportunity to perform this one-time maintenance and support project for this local CT company.